Label is made to fit on the tab of most file folders. White background helps text stand out. Clear, crisp text is far easier to read. 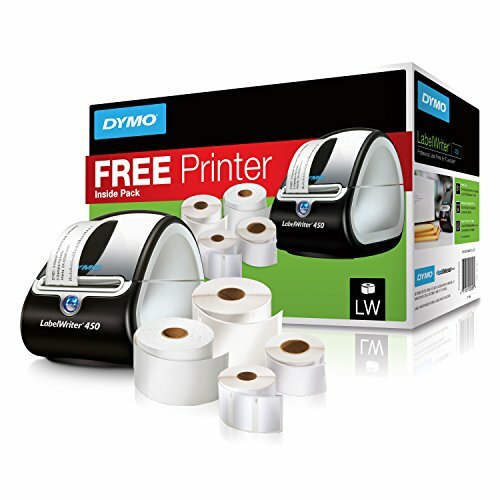 Use with DYMO LabelWriters. File Folder Labels print directly from the roll for simple use. Print labels individually or in a batch. The solution for your labeling, filing and mailing needs, the Label Writer 450 saves you time and money- all without the hassle of printing sheet labels on a desktop printer. 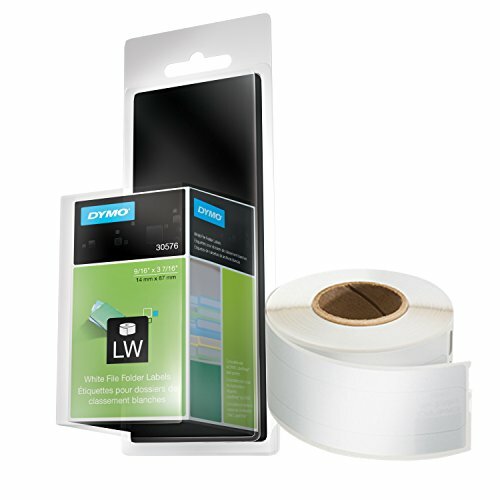 Now free when you purchase 4 Label Writer label rolls! 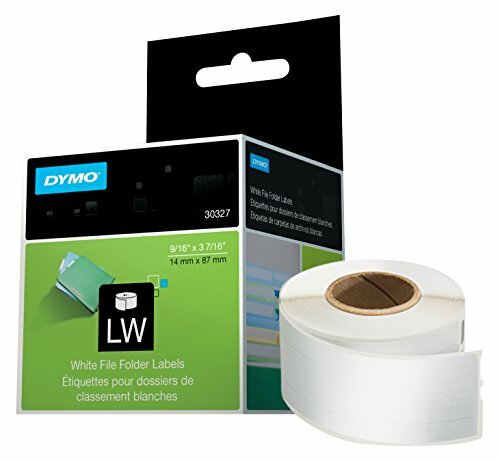 DYMO Label software enables you to create and print address, file folder and barcode labels, plus name badges and more - all without the extra work and hassle of printing sheet labels on a standard desktop printer. Connect a Label Writer 450 to your PC or Mac* and you’re ready to print labels directly from Microsoft Word or Outlook, QuickBooks, Card Scan, Mac Address Book and other popular programs. *Compatible with Windows 7 or later and Mac OS X v10.8 or later. Microsoft and Windows are either registered trademarks or trademarks of Microsoft Corporation in the United States and/or other countries. Mac and OS X are trademarks of Apple Inc., registered in the U.S. and other countries.Compatible with Windows 7 or later and Mac OS X v10.8 or later. Microsoft and Windows are either registered trademarks or trademarks of Microsoft Corporation in the United States and/or other countries. Mac and OS X are trademarks of Apple Inc., registered in the U.S. and other countries. All of our labels are manufactured out of our warehouse located in Longwood, Florida (just north of sunny Orlando). If there is an issue or question regarding your order, our Customer Service Team is happy to help you to your complete satisfaction. As well, we offer bulk pricing. Please contact us at 855.9Labels. We truly appreciate your business! Presents copy clearly. Easy to load and use. 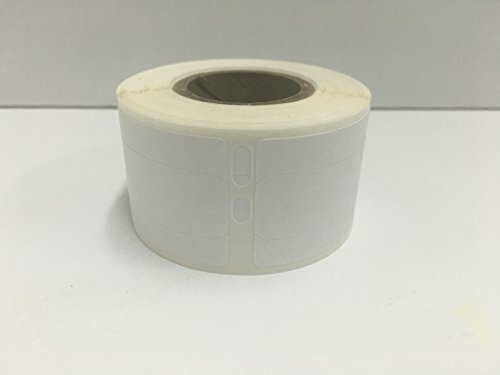 Label Size - text: 9/16 x 3 7/16; Label Color(s): White; Machine Compatibility: PC Label Printers; Printed Text Color(s): Black. Products trademarked OfficeSmartLabels (TM) are marketed and sold exclusively by SOJITEC(TM). The OfficeSmartLabels name, images, and contents of this listing are protected by trademarks and copyrights. Copyright © 2010 OfficeSmartLabels. 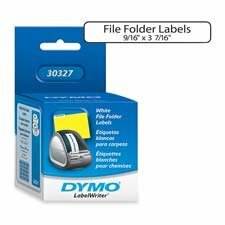 Dymo Corporation Products - File Folder Labels, 9/16amp;quot;x3-7/16amp;quot;, 130 Labels/RL, 2RL/BX, White - Sold as 1 BX - White File Folder Labels print directly from the roll for simple use. 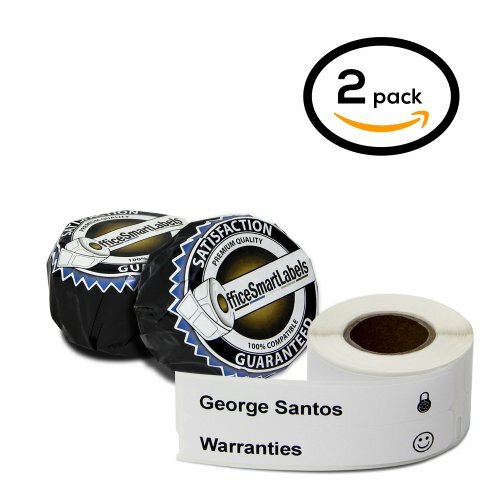 Print labels singly or in a batch. 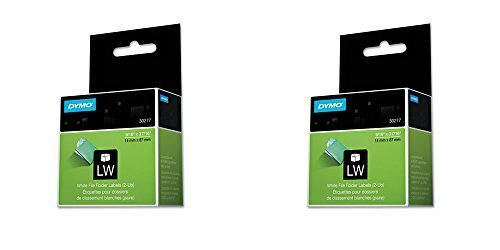 Compatible with DYMO LabelWriter printer EL40, EL60, CoStar LabelWriter XL, 300, 310, Turbo and CoStar LabelWriter XL Plus, Turbo, 320, 330, 330 Turbo, 400, 400 Turbo, Twin Turbo, DuoTurbo and Seiko SLP 120, 240, Pro, EZ30, and Plus. Presents copy clearly. Easy to load and use. 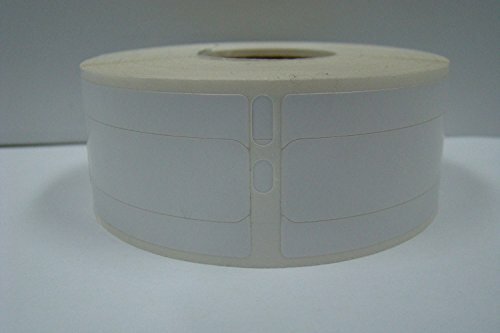 Label Size - text: 9/16 x 3 7/16 Label Colors: White Machine Compatibility: PC Label Printers Printed Text Colors: Black. 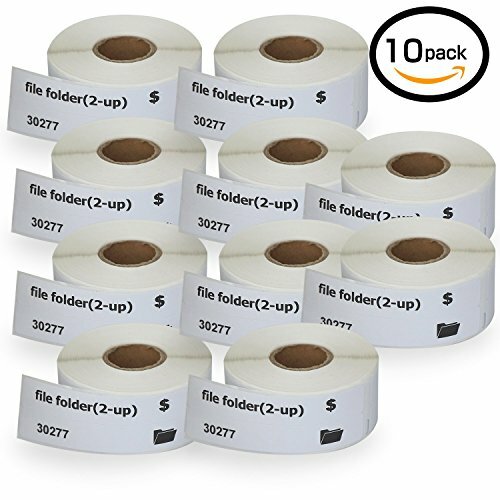 DYMO LabelWriter 1-UP File Folder Labels, 9/16 x 3 7/16, White, 130/Roll, 2 RL/PK Take the hassle out of labeling with an easy-peel, self-adhesive backed label. Thermal printing technology makes this tape easy to use with compatible label makers, and it requires no ink or toner. Thermal printing also reduces smudges and ensures clear readability. Roll format for easy printing. Label Size - text: 9/16'' x 3 7/16''; Label Color(s): White; Machine Compatibility: PC Label Printers; Catalog Description: File Folder/1-Up. Easy-to-load roll design saves time. 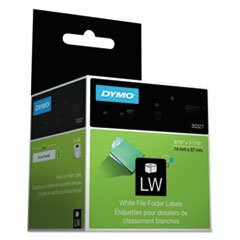 Copyright © Wholesalion.com 2019 - The Best Prices On Labelwriter File Folder Labels Online.